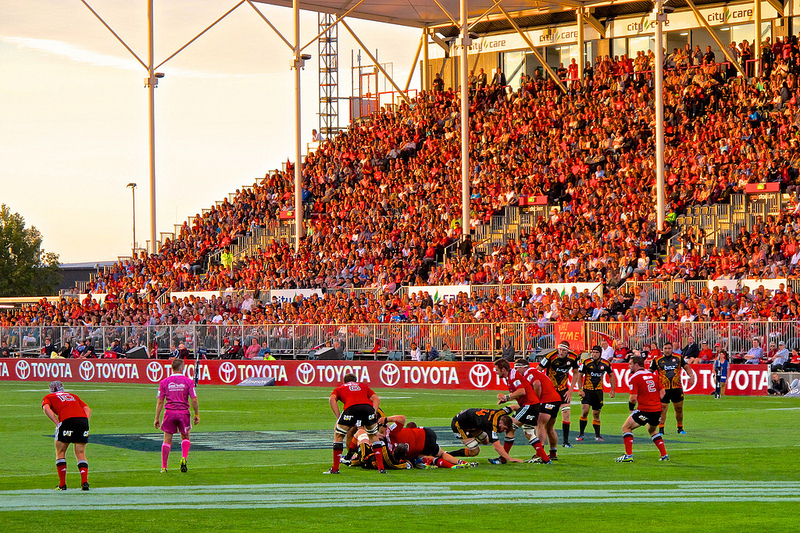 The 2014 Super Rugby season started two weeks ago with two games in South Africa. 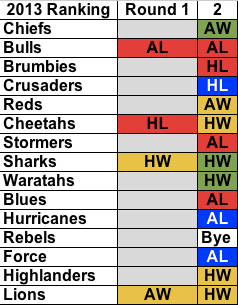 Round 2 included all teams (except for the Melbourne Rebels with a bye). As usual, I am very interested in teams’ progress against their previous year’s ranking. After Round 2 it will be interesting to see if the Sharks and Lions can continue with their momentum. 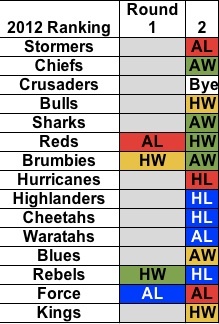 Teams to watch at the moment are the Reds, Cheetahs and Highlanders. Teams that need to address performance issues are the Bulls, Brumbies, Stormers and Blues. The Brumbies were the only higher ranked team to lose at home in Round 2. Of the three higher ranked teams who lost in Round 2, only the Force improved on their ranking position at the end of the 2013 season (by one place). The Bulls built on their win against the Stormers to finish second in 2013. The Blues improved their ranking in 2013 with a total of five wins against higher ranked teams from 2012. Round 2 was their first of these wins. My fascination with performance against ranking is directly linked to my passion for coaching. Every pre-season teams prepare for a competition year. I look for any indication that the coaching interventions (and all the related support services) have had an impact on the probability of success. My use of a single measure (previous season’s ranking) is intended to remove all the other variables that might impact on performance. The moment I see a change in a team’s ranking status that triggers my interest in other variables. In my model the Round 2 victory of the Chiefs over the Crusaders was predicted, even though it was a home game for the Crusaders. The volatility of Rounds 1 and 2 in 2014 (six wins by lower ranked teams) is interesting and compares with the four wins by lower ranked teams in 2013 over the first two rounds. If a lower ranked team wins and wins away from home it indicates that something is changing. The next round of the 2014 competition will stabilise the trend and by Round 4 I think the season map will unfold. I will be very interested to see how the Sharks and Lions progress in South Africa, the Highlanders in New Zealand and the Reds and Waratahs in Australia.